Last week, I posted about a fun little project for October Stockpile in the Malabrigo Junkies group at Ravelry. It was so much fun. I got, Boo Hat done with a few days to spare. 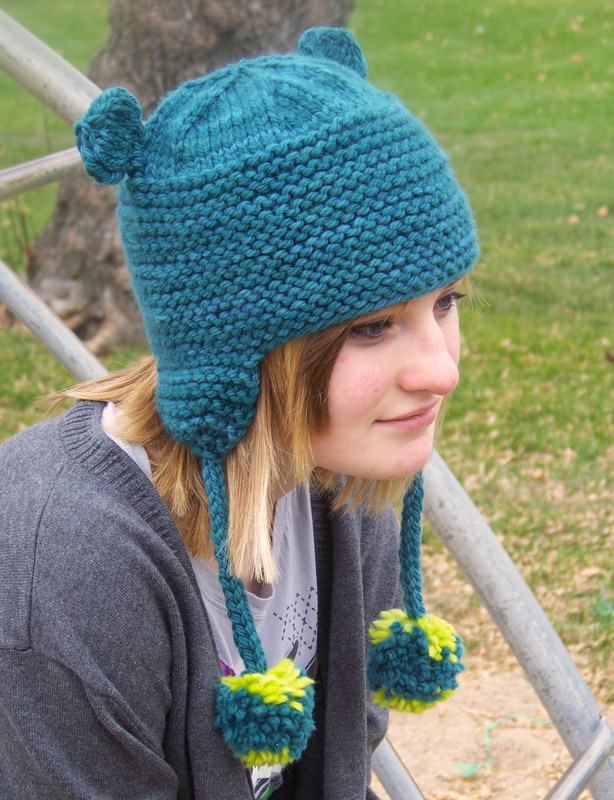 It did help that I knew exactly how I wanted the hat to look and pretty much knew exactly how to achieve the look. So, I was pretty sure I could get it done. It’s also a super quick knit allowing my test knitters to wip right through it. 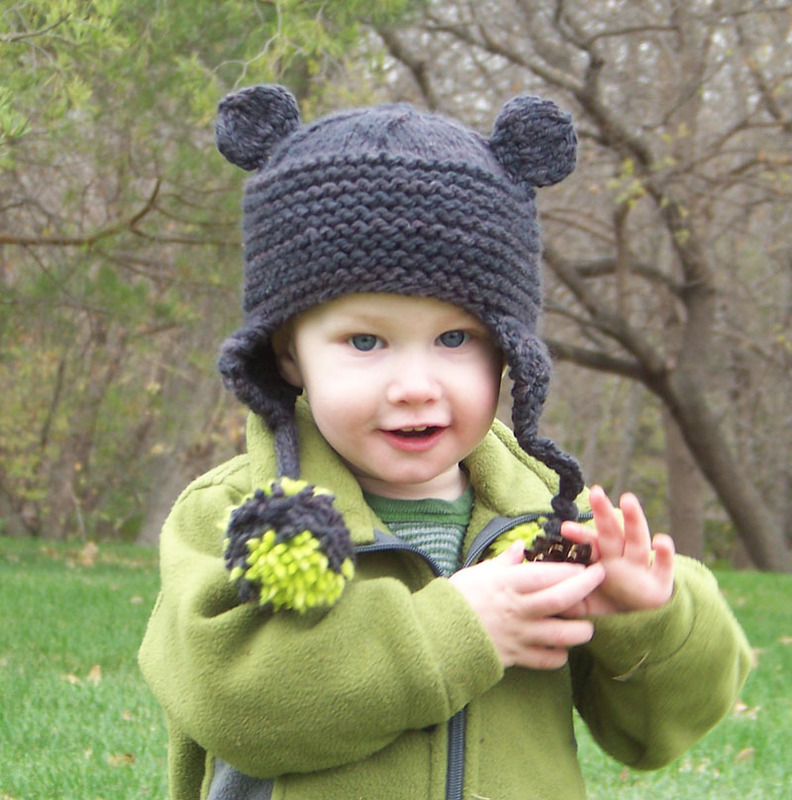 Let’s face it, a 14″ baby hat knit with a chunky yarn does not take long to knit up. Which would make it perfect for gift giving. I will be gifting a few! I have 3 on my list for Christmas gifts! They were requests from my nieces and daughter’s friend. Even my teenage son wants one. He does like fun hats! 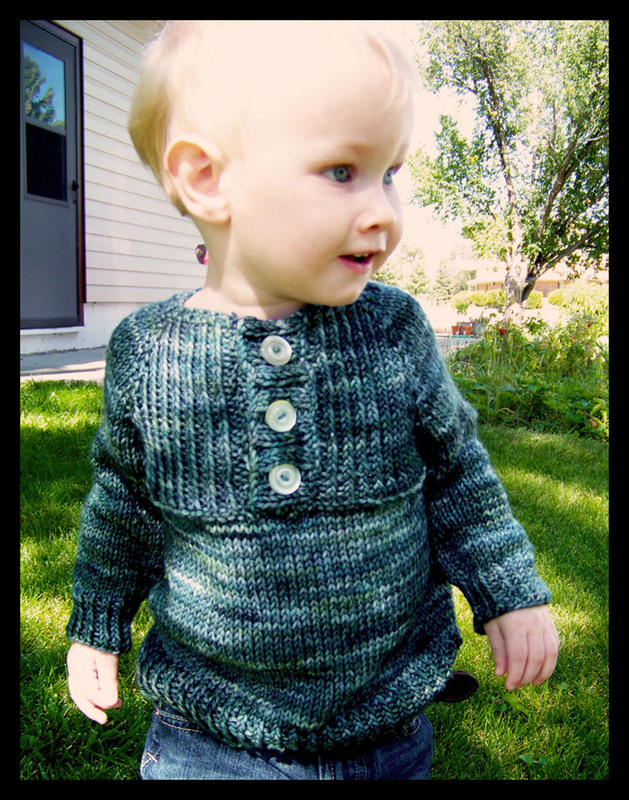 A knitter on Ravelry told me she was going to knit one for herself and her toddler! Won’t that be cute? To go along with my Boo hat release I have added a tutorial on my blog for pom making with nothing but your fingers, yarn, and a darning needle. It works pretty well and until I invest in a pom tree, will be how I make my poms. The pattern includes a link to this and another tutorial if you would like to use cardboard circles instead. You could of course, use a pom maker as well. So stop by Ravelry and check out the Malabrigo Junkies group. They are lots of fun! Workin’ Hard! or Hardly Workin? Oh the answer is definitely: workin’ hard! For some reason I decided two weeks into October Stockpile, that I would attempt something for the one skein design contest. Admittedly, I was a bit slow on this. But, it’s ok. I have had an idea for a year or so for a hat in Malabrigo Chunky. So, the idea was there. I just needed to knit a sample and write the pattern. So, this weekend, that’s exactly what I did. I present to you: Boo. This is the 18″ size. It’s a very quick knit and lots of fun. It will come in a wide range of sizes from 14″ to 22′. I knit up 2 other samples. One in the smallest(14″) and second largest (21″). 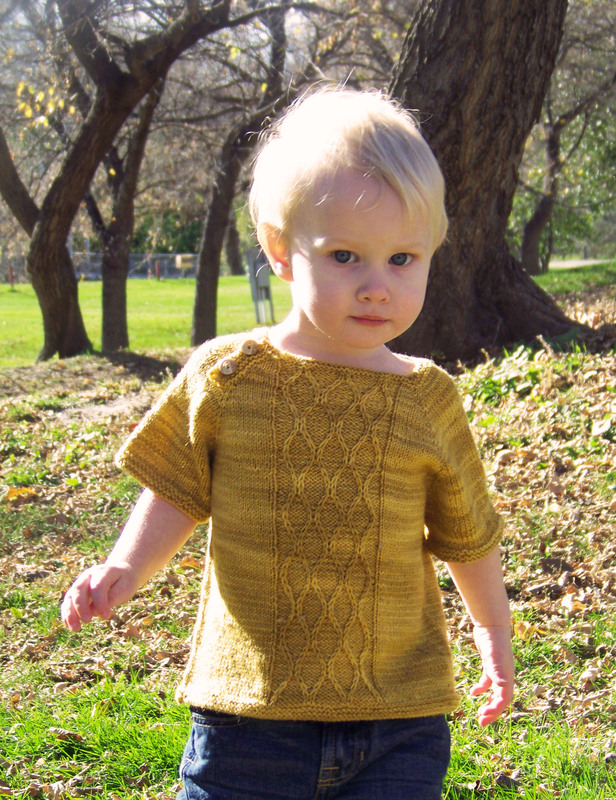 My daughter’s friend has already declared any further large sample knits to be hers. haha! The i-cord on larger sizes is just for decoration. But, can be omitted. On the smaller sizes it is either decoration or can be tied so that baby keeps his or her hat on! If you are concerned about it catching on things, the i-cord can be omitted or knit very short. 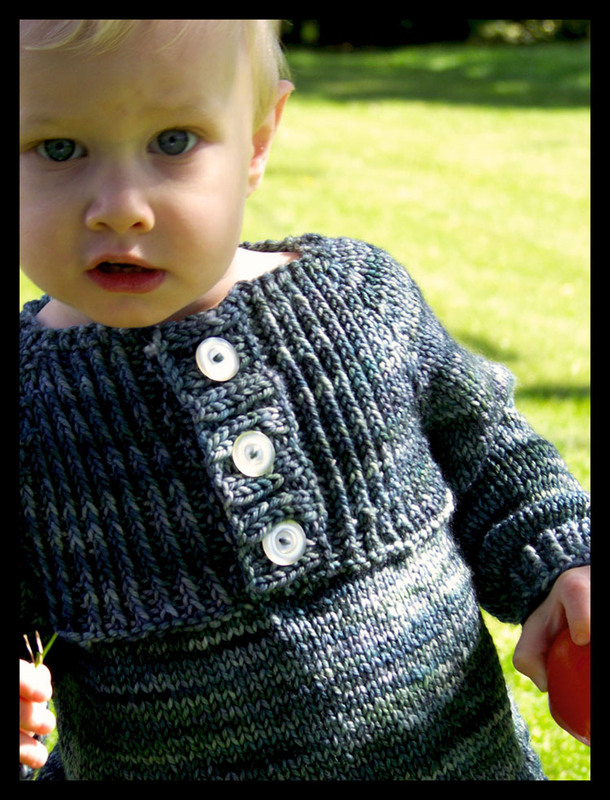 So, this will be my one skein design and it will be released before the end of October. Hopefully it will be very early next week! Testers have the pattern and a few have been completed. How’s that for starting October 14th!!?? I also promised some new pictures of my Malabrigo Sock contest entry. Well, who am I to disappoint? Here are both versions together. And here is one of my son modeling. I have to say, he quite likes this sweater. I have caught him, more than once, attempting to take off whatever shirt he has on and replace it with this one. It is fantastic! We have been having the loveliest weather here! North Dakota in October can be full of surprises. Let’s hope this holds out until Halloween. I get a fail! for Blogging! Ok, Yes. I get a fail. 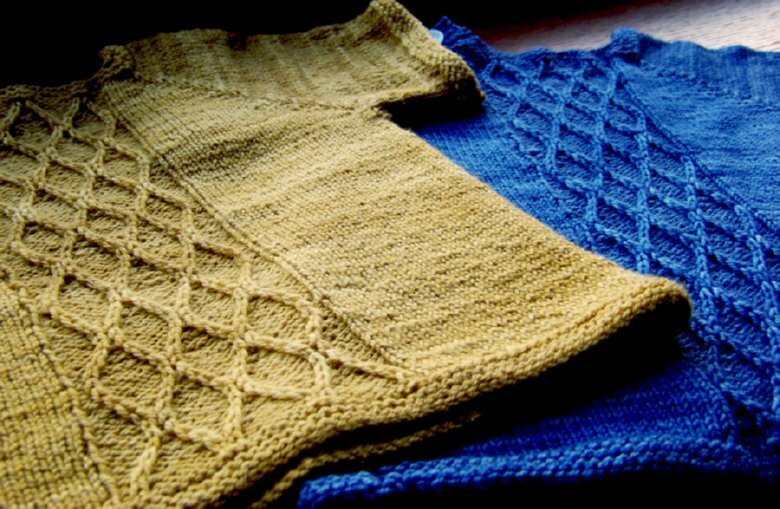 I had a blog ready to go for the release of my Kinsale sweater. So, when I went to get a post ready for this week. I was unpleasantly surprised to find that the post I had set up, did not publish! Ack! My bad. So readers, I apologize! I am very excited about my latest pattern release! 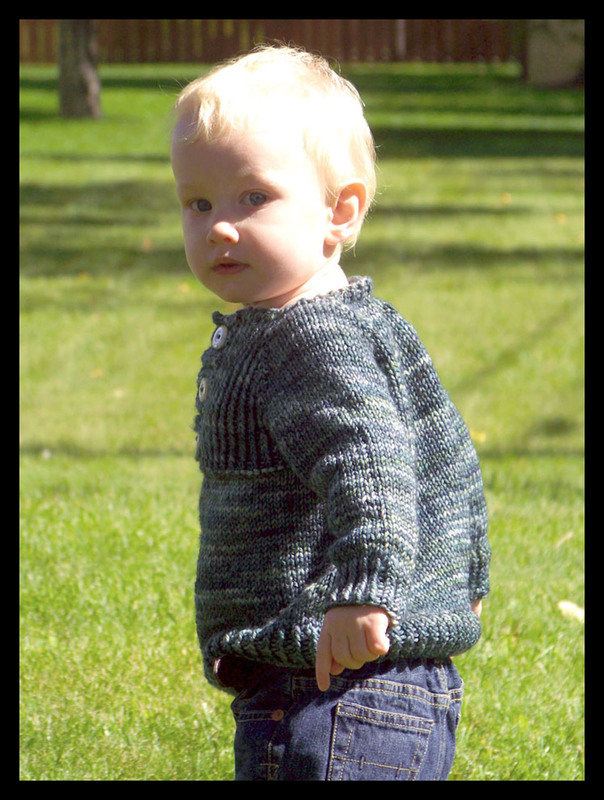 Kinsale is a top down, unisex pullover with twisted rib detail on the cuffs and yoke. It is a very quick knit! The sample was knit up in the uber yummy, Malabrigo Rios. 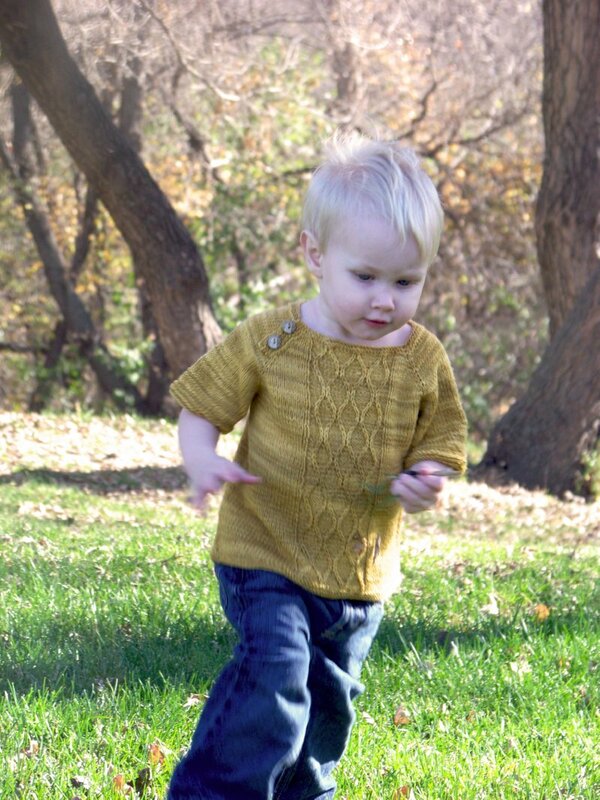 This month you can get Kinsale (or any of my patterns) for 10% off on Ravelry with the coupon code: pockstyle. It’s October Stockpile in the Malabrigo Junkies group on Ravelry so many designers and yarn stores are also having deals. Isn’t he handsome. I might be biased. My son is such a good sport to model for me. If you haven’t ever tried wrangling toddlers for photo shoots. I suggest it as an aerobic activity! I will post again early next week. I have some great new pics of my upcoming design. The planned release for that will be the beginning November. It will have two versions a “boy” version, which is very much like a t-shirt sweater style and a “girl” version, which is more tunic like. It’s come out lovely and I am very excited about it!